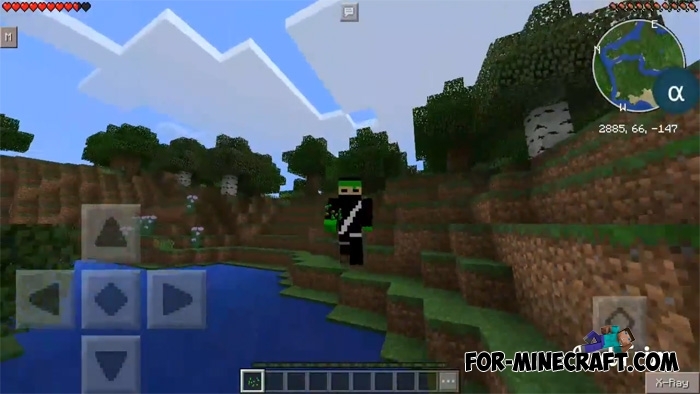 AlphaHack is one of the most functional hacks for Minecraft PE and at the same time it's quite old due to what errors are very rare here. This cheat has many functions existing in almost all popular hacks. You can teleport, use x-ray, change run speed, activate hyper jumps, spawn mobs and activate many other functions (see below). All functions work in single player mode but there is a warning. If you want to test some functions on servers, then all responsibility falls on you. Your account can be blocked at any time, especially while using wallhack or fly modes. Added Light version. 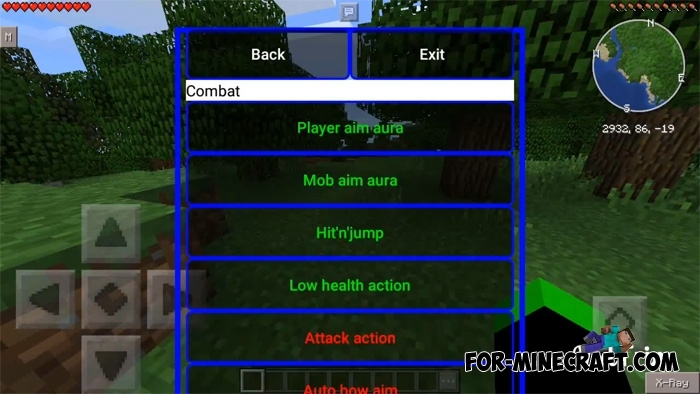 This option is suitable for singleplayer or Realms better than the standard version of the hack. This is due to the fact that the light version does not contain auto-update and other functions that work with the Internet. Almost all features are available for you, only some functions have been removed specifically to improve game performance and minimize lags. After installation of the AlphaHack, new buttons and a mini-map showing your coordinates will be displayed on the screen. There is a settings menu where you can change the display settings. In addition, the x-ray button instantly allows you to see precious ores or underground tunnels. The activated function is displayed in the chat, do not forget about it. AlphaHack for MCPE 0.14.0Alpha Hack is working in a single game and the on your servers for 0.14.0, and can also use a variety of functions in ModPE! Click the link right above the comment section.